Bavaliya, who quit Congress last year to join BJP and was made a cabinet minister, faced protests by women while campaigning for party. 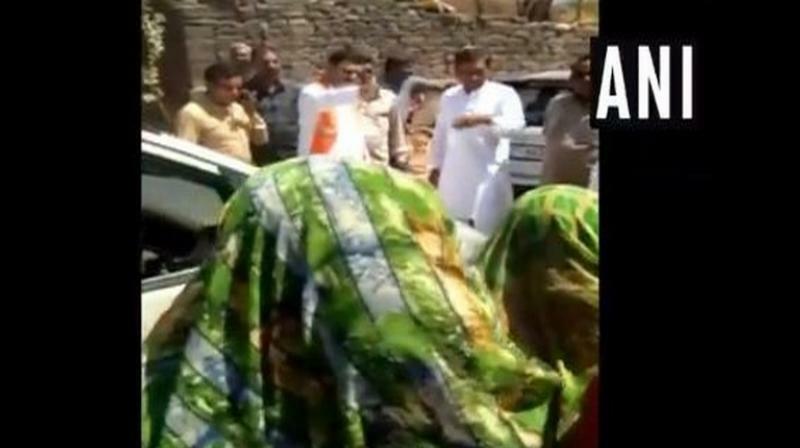 Rajkot: Gujarat Water Supply Minister and BJP leader Kunvarji Bavaliya questioned a group of women, who were protesting against drinking water crisis in their village, whether they voted for him or not in the last election. Bavaliya, who quit the Congress last year to join the BJP and was made a cabinet minister, faced protests by women while he was campaigning for the BJP candidate at Kanesara village. One of the protesting women was seen in video footage telling the Minister, "We are not getting water which the government is expected to give us." Sharp came the minister's reply, "Despite my request in the last election, you gave only 55 per cent votes. Why didn't you all come together to vote for me?" Bharat Boghara, another leader from the party, spontaneously added: "So, you are getting water according to that mark (vote percentage)." Polling for 26 Lok Sabha seats in Gujarat will be held in a single phase on April 23. The counting of votes will take place on May 23.